Built in the US and thriving in Europe, Money20/20 will now bring together a global network of innovators, disruptors and established industry players at the inaugural Money20/20Asia driving a worldwide payments and financial services revolution with a pan-Asian focus. Money2020 organizes global events enabling payments and financial services innovation for connected commerce at the intersection of mobile, retail, marketing services, data and technology. The first Money20/20 Asia event in 2018 brought together senior representatives from across the ecosystem – from the markets of China and India, global financial hubs of Hong Kong and Singapore, innovation centers of Japan, South Korea and Australia and emergent Fintech markets such as Indonesia, Malaysia, Bangladesh, the Philippines and more to connect and create the future of money. With over 3500 attendees from more than 1400 companies and 70 countries, representing most of the sector of the payments, FinTech and financial services ecosystem, Money20/20 brings together a complete who’s who of the community building the future of money. 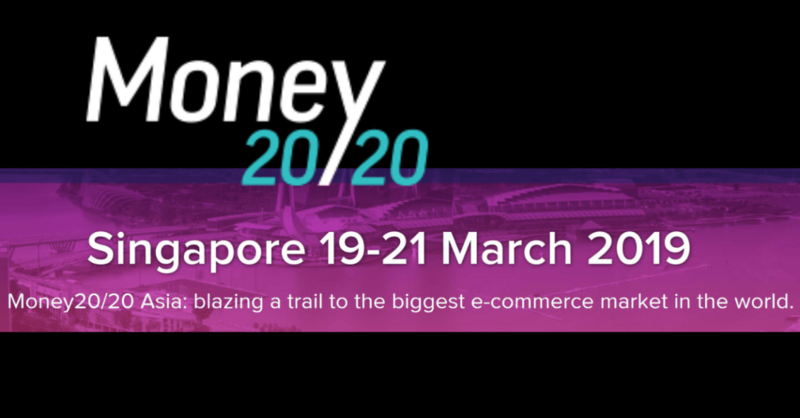 In March 2018, Singapore will host the inaugural Money20/20 Asia; shining a light on the region’s unique opportunities, connecting companies and individuals that build, disrupt and challenge how consumers and businesses manage, spend and borrow money. NSW Government is gauging interest for a potential program around Money2020 Singapore 2019 event, 19-21 March 2019. You are invited to express your interest in this great opportunity.